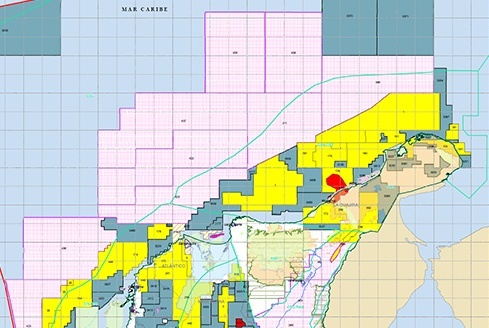 One of the largest 3D proprietary marine seismic projects ever (29,322 square Kilometre project) offshore Colombia, shot in 2 phases, an area equal to 1,258 GoM lease blocks! The project utilised the latest Broadband acquisition techniques on the CGG vessels Oceanic Sirius and Oceanic Vega, and so required top of the line QC expertise, as well as highly effective environmental monitoring capabilities to ensure Colombian regulations were adhered to. The survey required 479 vessel days, over 458,000 man-hours and all completed without major incident. 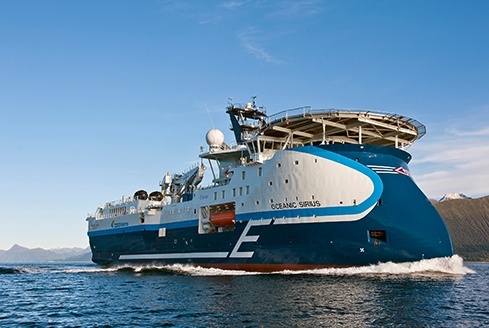 Lead Seismic QC – monitored the overall project as the client’s representative on board the vessel(s). This included ensuring HSE standards were upheld, as well as the technical specifications. Navigation QC – ensured the positioning data for the towed equipment was of the highest quality. Acted as Lead QCs second to ensure 24-hour coverage/availability. Processing QC – ensured the contractors on board processing was done to the correct standard. Colombian Marine Mammal Observers – locals with good experience of the area, on hand to ensure marine mammals were protected. Passive Acoustic Monitoring equipment and Operator – using the latest Seiche technology, ensured marine mammal monitoring continued during night time/darkness periods.